Mexico City: Unifem, 1995. Paperback. 161p., wraps, 8 x 10.5 inches, very good condition. Text in English and Spanish. St. Vincent: Alternatives Limited, [198-]. [32p. ], staplebound booklet, signed by the author; rear cover is creased. 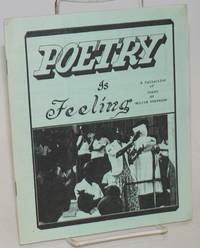 Poems by a secretary who was also involved in "youth, women, and community work." 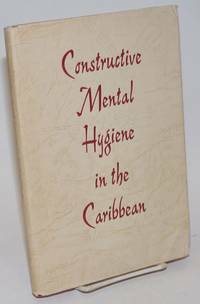 The preface says "It is well-nigh impossible for one to be involved in any area of social life in St. Vincent and the Grenadines and not have to come in contact with or work alongside Nelcia Robinson. Bogota: Asociacion Colombiana para el Estudio de la Poblacion, 1982. Paperback. 207p., wraps, 6.5 x 9.5 inches, wraps worn and creased else very good condition. 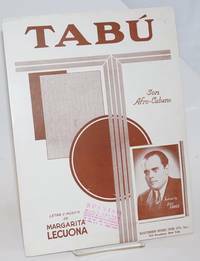 Text in Spanish. Topics covered include women in agricultural work, the urban workforce, sexuality and abortion, and more. 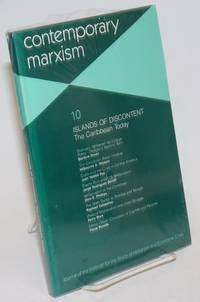 St. John, VI: Self-published by the author, 1983. Paperback. Unpaginated, signed by the Afro-Puertorriqueño compiler, very good first edition trade paperback original in pictorial wraps. 869 sayings explained, plus a glossary and index. His family moved to the Virgin Islands from Puerto Rico. He was born in St. Croix. 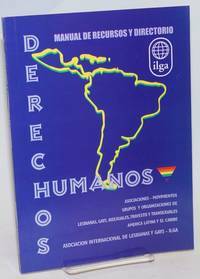 ILGA: Asociacion Internacional de Lesbianas y Gays, 2002. Paperback. 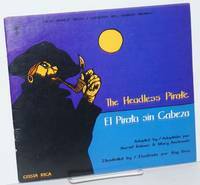 146p., text in Spanish, tables, services and resources, sample forms, large foldout comparative table at rear, very good first edition trade paperback in blue wraps. San Francsico: Children's Book Press/Imprenta de Libros Infantiles, 1976. 20p., 9x8 inches landscape format, bilingual text in Spanish and English, illustrated children's book, slightly worn stapled pictorial wraps. Fifth World Tales series, Costa Rica. San Francisco: Synthesis Publications / Institute for the Study of Militarism and Economic Crisis, 1985. Paperback. xxiii, 186p., 6 x 9 inches, shrinkwrapped, very good first edition trade paperback journal in printed green wraps. 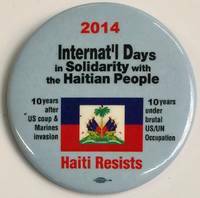 Articles on Cuba, Puerto Rico, Trinidad and Tobago, and more. San Francisco: Synthesis Publications / Institute for the Study of Militarism and Economic Crisis, 1985. Paperback. xxiii, 186p., 6 x 9 inches, wraps slightly worn and soiled, else very good first edition trade paperback journal in printed green wraps. 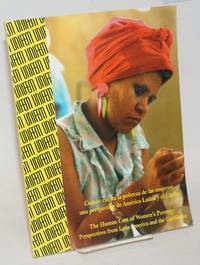 Articles on Cuba, Puerto Rico, Trinidad and Tobago, and more. New York: Dell, 1986. Paperback. 308p., signed on title page as Anne Rice Rampling, very good first mass-market paperback edition in white pictorial wraps. Dell 12392. New York: North American Congress on Latin America, 1984. Magazine. 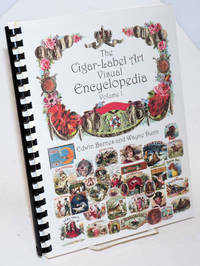 various pagination, in glossy, stapled, illustrated wraps. A complete set of Volume eighteen, 6 numbers, bi-monthly. All have worn wraps and address label on rear wrap, Number 5 has some slight foxing, else generally very good condition. This volume includes "The Salvation Brokers: Conservative evangalists in Central America," by Enrique Dominguez and Deborah Huntington, Uruguay, US invasion of Grenada, "El Salvador 1984," "Endgame: a special report on US Military strategy in Central America," by Allan Nairn, Belize, US Sanctuary Movement, "Oil on Troubled Waters: Venezuelan Policy in the Caribbean," by Robert Matthews, "Are Democrats Different?" Puerto Rico and the Cerro Maravilla Deaths, also articles, footnotes, references, photos, illustrations, tables. 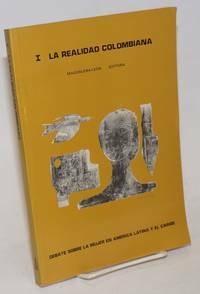 The information source for the Left in Latin America. Vol. XVIII, Nos. 1- 6, January - December. 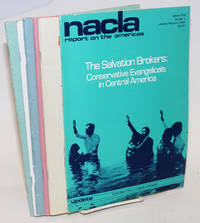 The NACLA Newsletter, which became the Latin America & Empire Report in the early 1970s and the NACLA Report on the Americas in 1977, was the primary source for Left-wing reportage on events and institutions affecting the people of Latin America, occasionally expanding coverage to the Mid-East, Southeast Asia and,of course, the Empire. 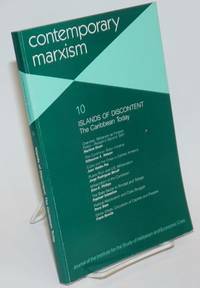 Each issue, published bi-monthly, is filled with lists, statistics, reading lists, tables, maps and other extremely useful information on the activities of the CIA, US and multinational corporations, banking institutions and military-police tactics throughout South and Central Americas, the islands and Mexico. Assen, Netherlands: Royal Van Gorcum Ltd, 1957. Hardcover. xiii, 176p., hardbound in openweave cinnamon cloth boards gilt, in dust jacket; lower corner has suffered a bad corner bump affecting textblock (but not the printblocks) as well as covers, while the upper corner-tip has a much milder bump. Otherwise quite sound, a clean copy unmarked by ownership or any other marks. Layton UT: Gibbs Smith, 2008. Paperback. 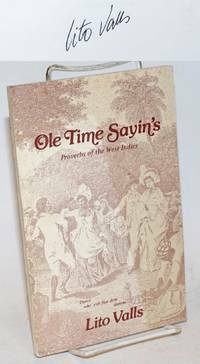 256p., nice alkaline coated paperstock throughout with profuse period images throughout, most in color, sepia where b&w is appropriate, a later printing of the oblong paperback in 9x11 inch frenchfold wraps. 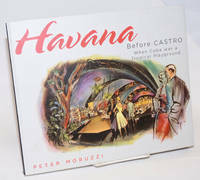 Folded out, the wrapper displays a color plat map of pre-Castro Havana. Faintest edgewear, titlepage bears an old seller's numeral in pencil (thankfully faint, ineradicable on that sort of stock), an otherwise unmarked, clean near-pristine copy. 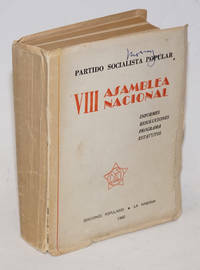 La Habana: Ediciones Populares, 1960. Paperback. 749p., sumario, a small thick softbound in rubricated buff wraps, 7.5x5.5 inches including overlapping (yapp) edges. 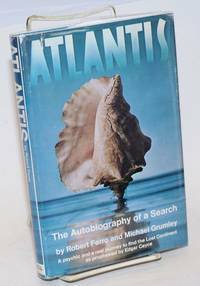 The overlap is very worn with some dust-soil and short tears, the wide spine panel is creased, the cover bears dust, signs of handling, and an ownership name in ink. Paperstock is quite toned, and former owner has penned numerous brackets and underlines in the text. More generally, a reasonably good reading and reference copy. 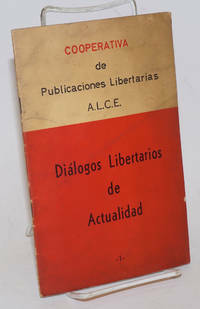 Opposite title page, these two advisories: Impreso y hecho en Cuba/Printed and made in Cuba, and, Editado on Reina No. 156. New York: Southern Music Publishing Company / Peer International Corp, 1941. Reprint of 1935 original, single large leaf of glazed paperstock printed and folded once to make 2pp. of musical notation and lyrics, plus a 4th (ad) page, a little edgeworn and has the rubberstamp of a NY specialty music outlet on cover. A quite good copy. Habana, Cuba: La Habana Asociación Libertaria de Cuba, 1959. Pamphlet. 39p., wraps a bit soiled else very good condition. Cooperativa de publicaciones libertarias, no. 1. Salinas was a longtime Cuban anarchist who later went into exile in the USA and continued writing and speaking out for anarchism. OCLC as 9/2018 shows only two holdings (Univ. of Florida and National Library of Sweden). New York: Bell Publishing Company, 1970. Hardcover. 168p., photos, two-page map frontis, front hige cracked otherwise good first printing of the Bell reissue in boards and unclipped dj. 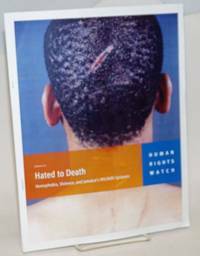 First book by the life partners who co-founded the Violet Quill authors group and after their deaths a month apart from AIDS the Ferro-Grumley Foundation was formed.